I have had a busy few weeks after my return from Ireland and have not had much time for blogging. I spent some time yesterday at the 9th Avenue International Food Festival. 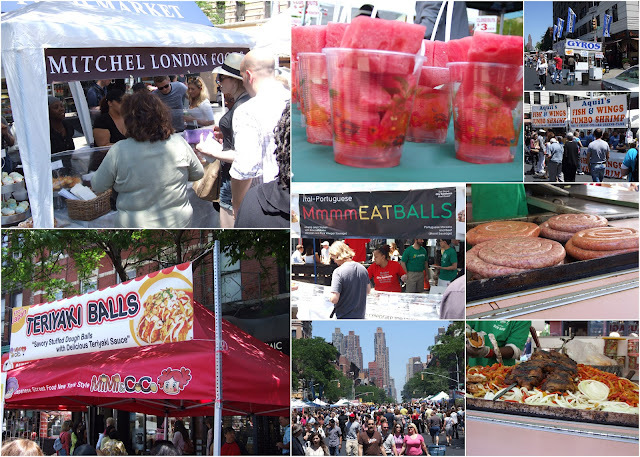 It is a huge and very crowded event put I did get grab a few photos to give you a “taste” of the festival. I realized I never announced who the winners of my Muir Glen Giveaway were. I am pleased to announce that Ramona of Curry and Comfort and Heather of Bake Run Live have both received their gift baskets from Muir Glen. I want to thank everyone who participated and I really enjoyed seeing all the links and comments from everyone.